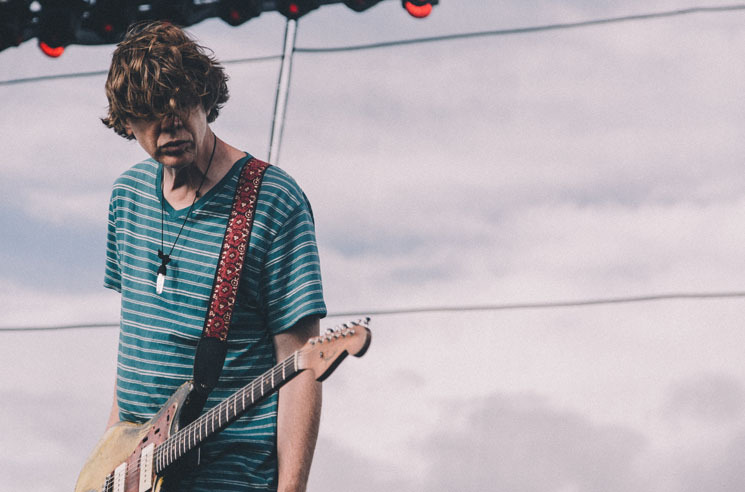 A five-song set from the Thurston Moore Band drew largely on their well-received 2014 LP The Best Day, which was a little bit ironic since Downsview Park was reduced to a mud pit over the course of an hour-long downpour right before they played. It may have been Moore's sonics that allowed the sun to break through the clouds momentarily, though, shining light on the crowd for lengthy run-throughs of "Forevermore" and "Speak to the Wild," which highlighted Moore's musical chemistry with fellow guitarist James Sedwards. Moore also revealed plans for a new record from the group, titled Rock 'n' Roll Consciousness, from which they showed off two new tracks. The first was "Turn On," a lengthy number that Moore aptly described as a "psychedelic love song," while "Ceasefire" was a punchier number driven primarily by the tight rhythm section of My Bloody Valentine's Debbie Googe and Sonic Youth's Steve Shelley.